One of the biggest advantages of using a credit card when traveling is the rental car insurance offered by most cards. 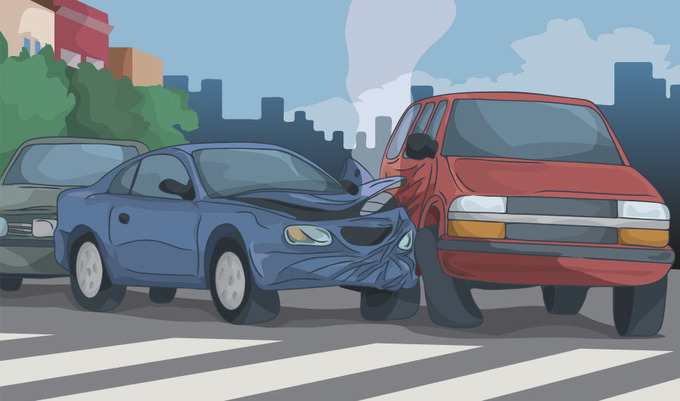 These policies are actually collision damage waivers that allow cardholders some benefit if their rental car is stolen or involved in an accident. Using these policies can save travelers $10- $30 per day when they are able to decline the optional insurance offered by the rental car company. First, travelers should be aware of any territorial restrictions when traveling internationally. For example, the collision damage waiver policy offered by American Express cards is not valid in Australia, Ireland, Israel, Italy, Jamaica, and New Zealand. Some Visa and MasterCards have similar restrictions, although these have been eliminated in other cards. If traveling to one of these commonly excluded countries, it is wise to ask your credit card's benefits administrator for a letter confirming coverage. Travelers should also know which types of vehicles are excluded from coverage. Vehicles such as full size vans, pickup trucks, antique, luxury, and exotic cars are commonly excluded from these policies. While most travelers do not anticipate renting a Ferrari, it is not uncommon for some rental car companies to offer upgrades to pickup trucks or luxury cars. Another loophole of credit card collisions damage waiver policies is the clause that excludes any use of the vehicle that is against the terms of the rental car agreement. Certainly, these agreements are filled with sensible provisions prohibiting racing, commercial activity, and any intentional violation of the law. Yet most rental car agreements also prohibit driving on unpaved roads. This might not be a problem for those renting a car in Los Angeles, but cars rented in rural areas or near national parks may be driven on well traveled roads composed of packed dirt or gravel. So unfortunately, any claim resulting from an accident on one of these unpaved roads is likely to be denied. To activate the rental car collision damage waiver insurance, cardholders must pay for their rental with their credit card, and decline all optional insurance. Travelers who redeem reward points to pay for their rental car are not covered, even if they use the card as a security deposit or to pay additional taxes or fees. Thankfully, the coverage is still valid if a renter uses a coupon, so long as the base rate is charged to the credit card. One of the ways to close many of the loopholes of most credit card collision damage waiver policies is to purchase the optional Premium rental car insurance from American Express. Cardholders must first enroll their card, but then each time they rent a car using that card, they are charged a single fee of $25 that covers the entire rental period. The premium insurance offered by American Express has no deductible, covers a wider range of vehicles, and has higher damage limits then the standard policy. Since this additional fee is charged once based on the entire rental period, not per day, its cost per day is much less the longer that cardholders rent their vehicle. By understanding all of the ins and outs of credit card collision damage waiver policies, travelers can take steps to ensure that they are covered should they someday damage their rental car.